In September 1990 14 Lancisti founded our club in the very south-west of Germany, near Swiss and French frontiers. Our aims were to build up a real European organisation for all friends of Lancia and all types of Lancia Cars, to save and restore classic Lancia's, to help each other and to co-operate with Lancia Turin, importers, dealers and of course with all Lancia clubs world-wide. 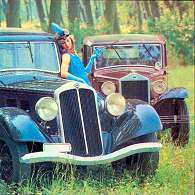 Instead of geographic name we have chosen "Lancia Club Vincenzo". In honour to Vincenzo Lancia, and to express our international character. 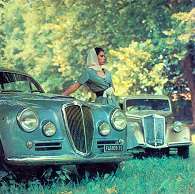 The Lancia Club Vincenzo is not in competition with any local, national or type specific Lancia Club in the world, but aims for better co-operation not only between presidents, but also between members. So we created a passive membership (to our cost price) which allows membership of the Lancia Club Vincenzo without leaving another club. As a member of THE INTERNATIONAL ASSOCIATlON OF LANCIA CLUBS we support all the effort of this very good institution which can represent all Lancisti world wide to politics, public, press and Lancia Turin. Our club sees its main task in little things: To solve the problems of the Lancia drivers quickly and effective1y without bureaucracy, we are working without executive committee but with computer. We now have 370 members from Scandinavia to Sicilia and more than 1000 Lancia cars from 1914 until today That makes it w much easier than in our first years. We have got the acceptance (and assistance) of Lancia and a lot of other companies. Our yearly European Meeting (always at the weekend of 1st May and every year in another Country) is well-known with good participation. 1999 in Denmark in co-operation with the Dansk Lancia Register. The club now is forming sections for Appia, Ardea, Aprilia, Delta, Gamma, Beta Montecarlo and others. These sections are a part of the club, the membership fee includes membership in one or several sections. A new project we call LANCIA CLUB HOTELS. We hope to establish a net of club hotels all over Europe. These hotels should offer a VlP treatment to Lancia drivers on tour, a discount, perhaps the base for a meeting, but also special Lancia weekends, with a fixed price. Until now four hotels in Germany and ltaly are already working well. More will follow.